Our early azaleas are blooming fully in the county. On the farm, we have NO azaleas, which seems impossible in the South, but it's true. Maybe we need a few. 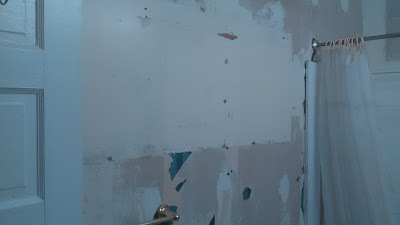 The wallpaper is coming off!!! Adam shares my loathing of the old wallpaper. 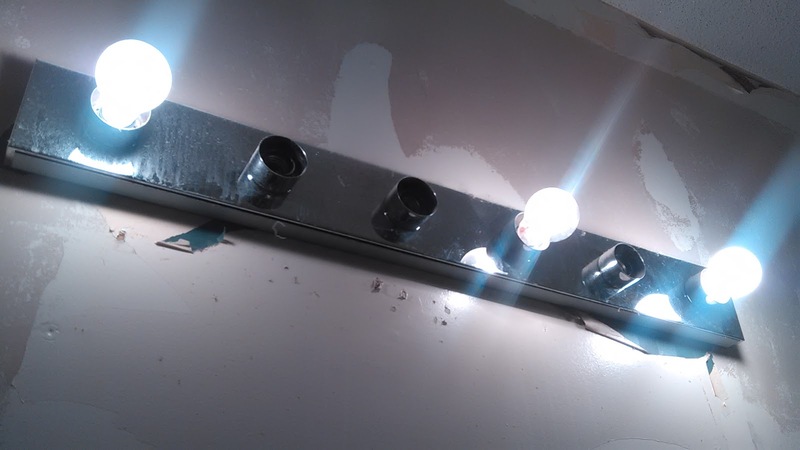 We agree that the room already looks bigger and brighter. 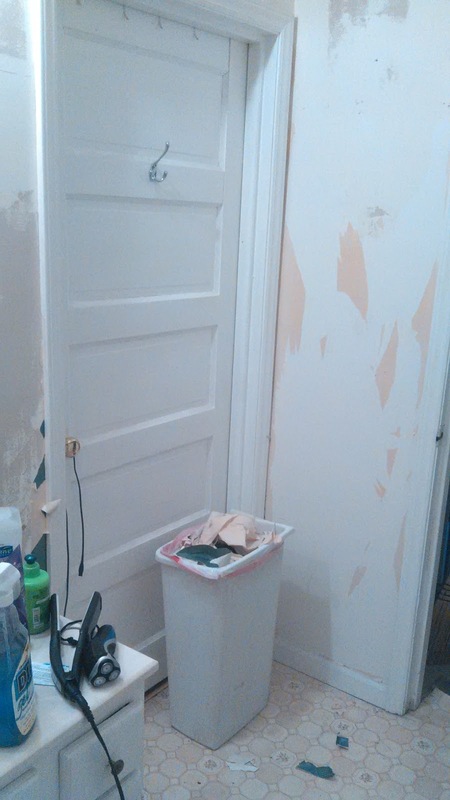 It helps that he ripped out the three ugly cabinets! Now the wall above the toilet is open. 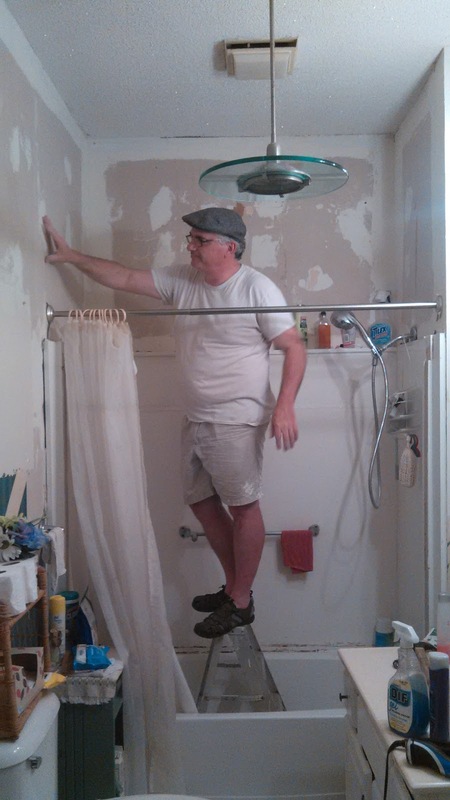 Every time somebody took a shower yesterday, Adam noticed that the wallpaper came off easier afterward. 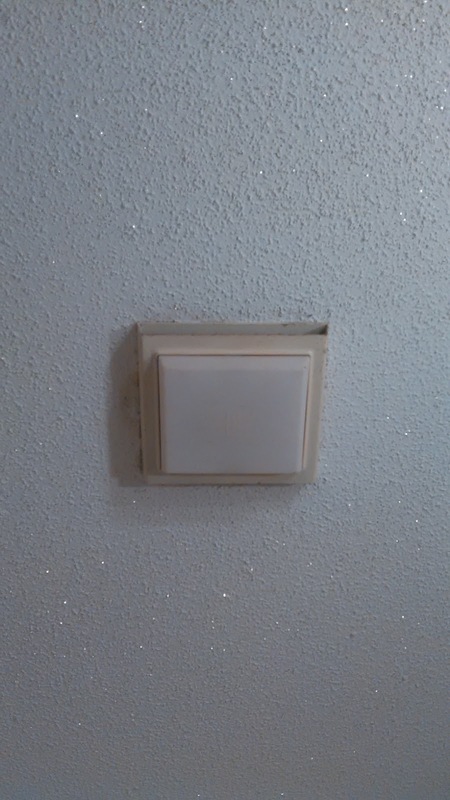 It's a rather moist room, especially because the fan hasn't been working for years. One of the first things to go in will be a working fan to keep the moisture out of the room. Keeping moisture out is one of the more important things in a home in this waterfront county. Steady rains, hurricanes, rising rivers -- sometimes it feels like a rain forest. 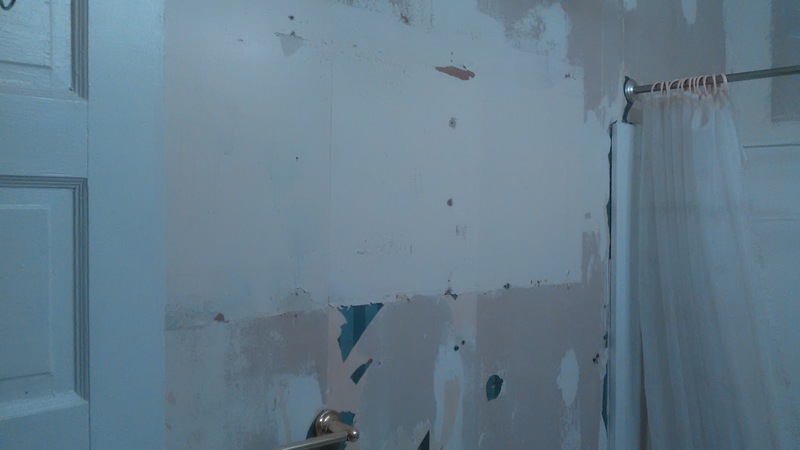 More updates on the bathroom will come later this week. Ah yes. Moisture is the enemy in the south! Glad to see the progress! It's looking better already! Onward! Way to go!! 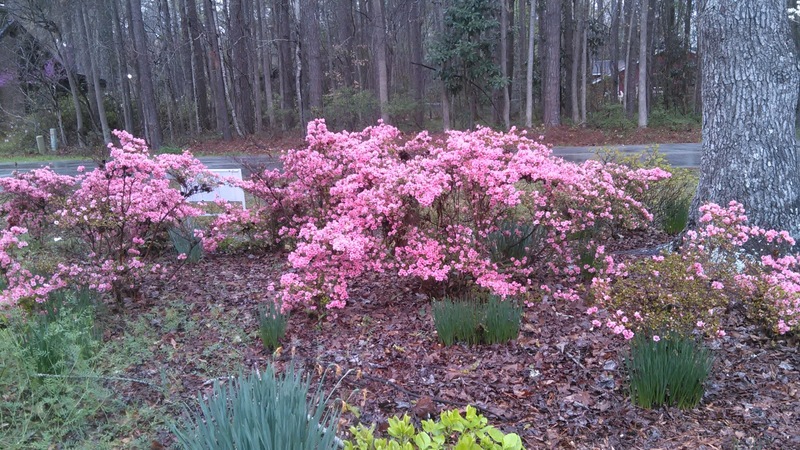 And thanks for sharing your azaleas, too! I thought you were going to say you were putting in azalea wallpaper. :-) Will you paint or paper now? I've never done wallpaper in my life. I was smiling from that first picture thinking they were your azaleas. In time, you'll have some there on the farm. Those are lovely. I have 5 here. The steam is helping Adam peel away the wallpaper. Yay! Once again, he's doing a great job. Have a nice week M.K.